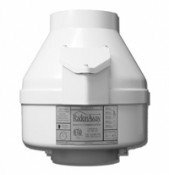 I'm a lightweight do-it-yourselfer and was reasonably intimidated to undertake the project of Radon Fan installation. First of all, didn't know where to start for the fan selection, the components and then how to go about the installation in the attic. Had decided on giving the project to an installation service before giving a quick call to Indoor Air Health Advisor. Val is an extremely knowledgeable and helpful professional who was ready to guide me systematically through every step of the way. From outlining to the individual components to explaining every step of the installation, Val's patient and clear guidance quickly addressed my concerns and enabled me complete this installation over the weekend. And the prices very quite reasonable as well. Never at any time did I feel pressured into buying any material from this business. Even after detailed phone conversations and email exchanges, I managed to order 1 wrong component. But Val was very understanding and shipped my replacement even before I could return the wrong one. In these days of high pressure sales and cutthroat mass marketing, one would be hard pressed to find a more personal and professional service. Very highly recommend this business to anyone who is considering it. 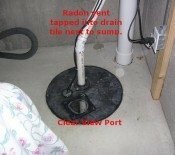 Thanks to Val, the radon level in my basement is rapidly dropping for the past week!